Preoccupied with numerology and horoscopes, Lucy assures Ricky that it's a "yes day" until she realizes she had consulted yesterday's newspaper. A Gemini, Ricky was advised "to climb in a hole and pull the hole in after you." Consequently, when Mr. Meriweather, a theatrical producer, phones, Lucy immediately says no, without even listening to what the man said. This infuriates Ricky, so they go to see Meriweather at his office to make amends, only to discover that he, too, is a horoscope/Ouija board/numerology nut. Lucy tells Meriweather they're conducting a séance that evening and he might be able to contact his long-departed Tille. Ethel portrays the medium Raya (Fred: "Well done, medium Raya"), or, as she is more commonly called, Madame Ethel Mertzola, complete with crystal ball. They contact Tillie, Meriweather's cocker spaniel, and the man's late wife, Adelaide. The producer is so pleased with the results of the séance that he hires Ricky for a new show. Special Notes: In numerology, Ricky was a 5, Ethel a 7, Lucy a 3, Mr. Meriweather a 1, prompting the latter to observe, "We're all odd, aren't we?" 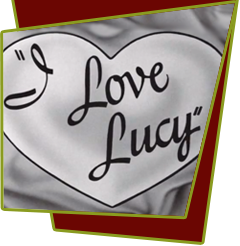 This episode is based on lucy's radio show, My Favorite Husband Episode #24, "Numerology" and My Favorite Husband Episode #88, "Numerology". Bloopers: In this episode Lucy says she is a Taurus (born April 20 - May 20), but in "Lucy's Mother-in-Law" she says she was born on August 6. When Mr. Merriweather answers the phone in his office, you can see the shadow of the microphone on the wall.